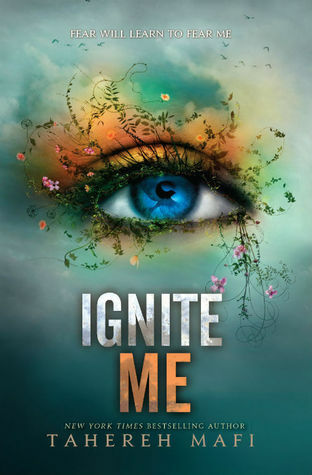 Read a full summary of Ignite Me by Tahereh Mafi below. If you can’t remember what happened in Ignite Me and you need a refresher, then you’re in the right place. Warner teams up with Juliette. Adam gets really angry, because he’s an angry person. Juliette gathers a bunch of soldiers and asks them to help her kill the Supreme Commander. They head into battle and win. Warner and Juliette are endgame. Juliette wakes up in the army base. She talks to Warner for a bit, who tells her that his mother seems to have the opposite gift to Juliette. This is why he wanted to study her. Warner explains that the child used in the experiment was a simulation used to make Juliette angry. Omega Point has been destroyed, and everyone is dead. Sara and Sonya are in the capital. Juliette wants to rescue them and kill Warner’s father. Juliette is smuggled out of the base and taken to Omega Point. They meet Kenji there. Warner borrows his power. Juliette leaves with Kenji. Kenji fills Juliette on on what’s been going on. He says he and the rest of the group tried to help the people at Omega Point, but it was kind of hopeless. They’re now staying in Adam’s apartment. Juliette tells Kenji that Warner is in love with her. Kenji thinks this is ridiculous. Kenji and Juliette reunite with the group. Warner then shows up and Adam gets angry. He refuses to help Juliette fight the Re-establishment because of Warner. Adam tells Warner to leave. Adam breaks up with Juliette again and tells her to leave. Juliette presses the panic button that Warner gave her. Warner arrives and takes Juliette to the army base. He asks the others to come along as well. Everyone but Adam and James go along. Warner and Juliette have a bit of a moment, but Juliette doesn’t tell Warner she loves him so he gets a bit off with her. Juliette wants to tell Warner that Adam and James are his brothers. Juliette plans to take over Sector 45 to bring Warner’s father back and then kill him. Juliette asks Warner if they can be just friends for now. He’s not sure it’s possible. Kenji tells Adam that Juliette is missing him in order to get him and James to come to the base. Juliette is angry about this deception. Adam arrives at the base and there’s a moment. He accuses Juliette of cheating on him. Warner speaks to James about the Re-establishment. Warner visits his mum for her birthday. It turns out she died, though. Juliette tells Adam to tell Warner that they’re brothers. There’s an argument, and when Adam acts like a prat, Juliette realises she can touch people without hurting them now. Juliette tells Warner that she loves him. Warner tells Juliette that Delalieu is his grandfather. Alia creates a new suit for Juliette. Juliette asks the soldiers to join her while demonstrating her powers. People want to know about the Supreme Commander. Adam tells them his first name – Paris. Warner gets suspicious because no one is supposed to know his name. Juliette finally reveals that Adam and James are Warner’s brothers. Warner’s father arrives on the docks. Kenji and Juliette board the ship. They get separated and Juliette is no longer invisible. She has to fight a tonne of soldiers, but eventually she finds Sara and Sonya. Sara and Sonya heal Kenji, who got injured in the fight. The group steals a tank and go back to the base. Juliette tells everyone that she is in charge now that the Supreme Commander is dead. Everyone salutes her as Warner stands next to her.